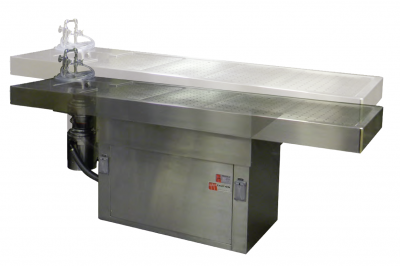 Our hydraulic workstations are designed for surgical and necropsy procedures on animals. These tables are available in both mobile and stationary. The mobile tables include casters, making the table easily movable. Removable ruler 78 in./198 cm.